After playing around with the recent discoveries made by James Whelton, another iPhone developer and hacker Steven Troughton-Smith has found DFU mode in the 6th-gen iPod nano which is similar to the one found in all iPhones and iPod touches. To enter DFU mode on iPod nano 6G: hold down the restart buttons until you get a black screen (it reboots twice) and iTunes sees the device and alerts you. While this by itself isn’t that cool, hopefully the info will inspire someone else to finally hack this thing and give us custom ‘apps’. This will hopefully open loads of new possibilities in not-so distant future, like installing custom firmware files, apps and more. However it is important to note here that the jailbreak hasn’t been achieved yet, because there is no root access on the device. But it is a step in the right direction. And as 9to5Mac points out, someone from the iPhone Dev-Team will have to find an exploit in the OS before the jailbreak can be achieved, allowing custom firmware files to be installed on the 6th-gen nano. 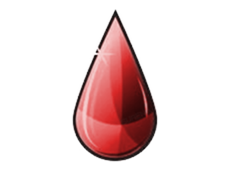 We have just been tipped off about the possible name for the next jailbreak by Geohot, called Rubyra1n. The domain Rubyra1n.com was registered by the iPhone hacker named George Hotz (aka geohot) on 27th March 2010. Interestingly, whois records for both blackra1n and rubyra1n shares same record while whois record for limera1n is different. Geohot might have changed it after the discovery of limera1n.com domain (before its release) back in April 2010. Whois records also reveals that both limera1n.com and rubyra1n.com were registered on the same day, that is March 27th 2010 which makes it even more authentic. Though there is no confirmation about this by Geohot himself. Oh and yes, Geohot is not on Twitter. If you have been following someone on Twitter with word “geohot” in its alias, than it is most likely a fake profile and I suggest you un-follow all such profiles now. Update : Version 4.0.10 released ! Crack is out !! The Sony Playstation 1 emulator, psx4all is here! What's new in the 4.0 release? * WARNING! PREVIOUS 3.0 SAVE STATES ARE INCOMPATIBLE! * Simply load from a memory card ingame and save again! * All new emulation engine! * More options for tweaking performance! 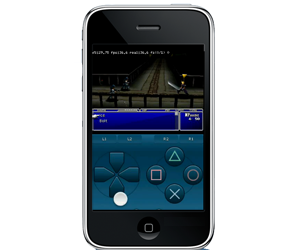 What's changed since the old psx4iphone release? * WiiMote support via BlueTooth capable devices! * WiiMote Classic Controller support! * Non-native iPad support. Plays great in 2x mode! * Download to the ROMs directory within the app! * Full download browser. RAR and ZIP extract support! * Faster emulation via improved dynarec. * Much higher compatibility with games. * PSP formatted PSX EBOOT.PBP file support! * Even compressed EBOOTs supported! * Delete ROMs and Saves right from the app! * Full savestate and memory card save support. * Options for smoothed scaling / maintain aspect ratio. 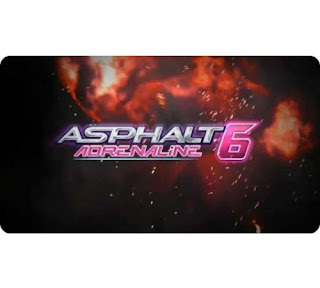 What's coming soon to psx4all? * Improved controller skins with ability for mods. This is a great release and I hope you enjoy it! psx4all requires a BIOS file scph1001.bin. It can not be included in this package for licensing reasons. Update : Version 2.0 released ! Crack is out !! 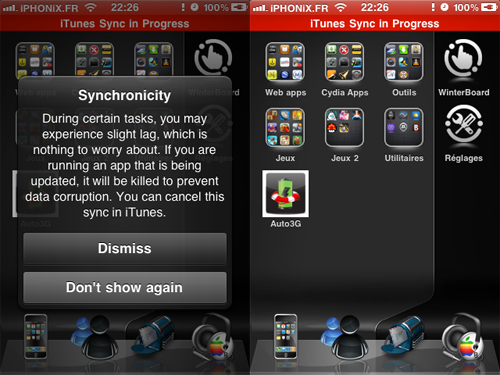 Use your device while it syncs with iTunes ! Synchronicity works on any device with firmware 4.0 or 4.0.1. Though overall performance is virtually unaffected, you may notice slight lag in certain resource/CPU-intensive operations. The iPhone developer and hacker iH8sn0w has just teased a screenshot of Sn0wbreeze 2.2 with a new “Baseband Preservation Mode”. 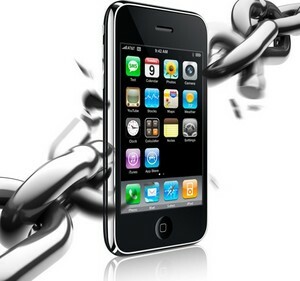 This new mode will enable current iPhone 4, 3GS and 3G users to preserve their baseband while upgrading to iOS 4.2.1 so that they can unlock using existing version of Ultrasn0w. iH8sn0w: Adding a new mode to sn0wbreeze. — http://twitpic.com/3k3mt6 (cleaning up the GUI a bit too). 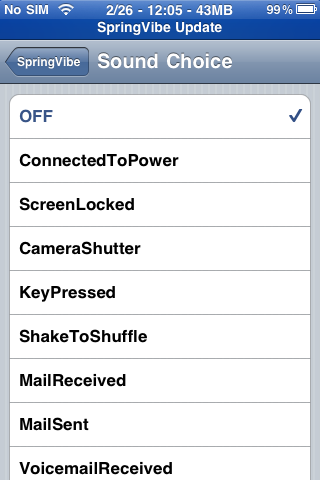 files without the upgraded baseband. But this new “Baseband Preservation Mode” is different, as it allows you to restore your iPhone to iOS 4.2.1 without upgrading the baseband. There is no ETA given for Sn0wbreeze 2.2. All we know is that it is coming soon. We will of course keep you updated as soon as we know more about it. Stay tuned ! [News] iPhone 5 and iPad 2 to Feature a Dual-Core CPU? 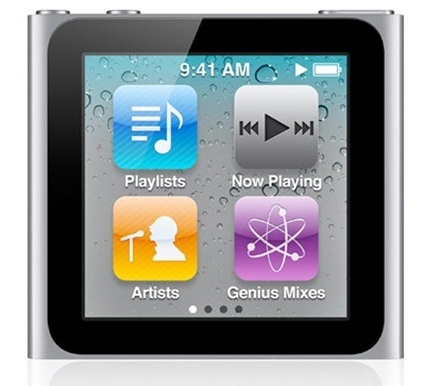 Developer James Whelton has managed to hack his 6th-generation iPod nano which he won recently at “some award”. 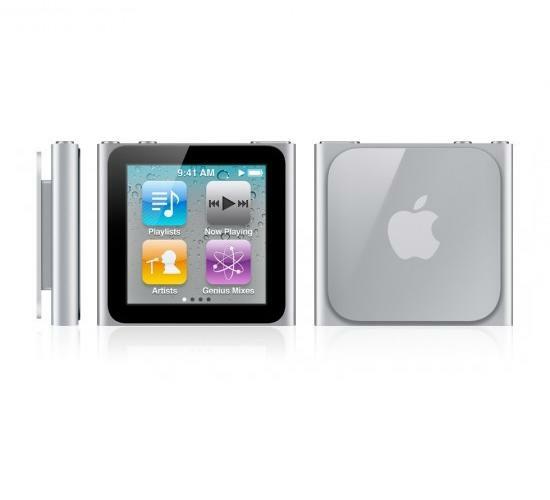 This has enabled him to bypass cache compression of the device, resulting in installing of a Springboard hack on the iPod nano which allows for blank space creation. The springboard hack is just the removal of a app and creation of a blank space. Not that amazing, but whats important is the bypass of Nano’s cache comparison, which compares any modded SB file and reverts it if it doesn’t like it, this opens up the possibility of hacking and modding, while not adding bootloaders or any of that fun stuff. What this means is that we could soon see some cool new features coming to iPod nano, such as Movies, TV Shows, Apps, Games, vCards, Calender events and so on, the references for which has been discovered in a plist file on the nano. … in some of the device’s plists of reference to support of Movies, TV Shows, Apps, Games, vCards, Calender events and so on, with a few other cool things like a passcode lock. With the bypass I figured out, I hope to enable these pretty soon. It seems like the OS is a rehashed version of the previous Nano’s OS. … the iPod Nano hasn’t been “jailbroken” as some sites claim, I do not have root access over the device. I did not “install” an app. I figured out how to remove them and insert a blank space into the springboard. What I have also done is figured out a way for the iPod to boot with modified files (eg the SpingBoard Plist), bypassing the procedure it takes to stop this, I hope this will allow us to figure out a way to jailbreak it. I am primarily focusing on exposing some of the (for now) hidden features of the device. The popular media center client for Mac OS X and iOS devices has been successfully ported to the new Apple TV 2G ! So for those of you who have a Plex server running in your home, you can now “technically” stream media from Plex server on to your jailbroken 2nd-generation Apple TV. 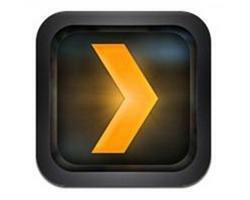 Installation instructions, as posted on the Plex Forums are as follows. Make sure you have jailbroken your Apple TV 2G on iOS 4.1 with PwnageTool (instructions here) before proceeding with the instructions below. After that start Plex and check for updates in the PlexOnline section. If you not use this, the plugin will still work, but the image-quality might not be on par with what you expect. Install the Plugin First off: you need to Jailbreak your Apple TV. I suggest you use the Pawnage method. For the sake of the following instruction I assume thet the IP-Address of your ATV is 169.10.11.12, and that you can log in using ssh. If the UI does not come up again, you probably have to restore your ATV! Oh and here is the video of it in action! The developer behind NitoTV app for jailbroken 2nd-gen Apple TV has released an unofficial PwnageTool bundle which can jailbreak Apple TV 2G on the latest iOS 4.2.1 firmware with the existing version of PwnageTool. This jailbreak however is limited to tethered-boot only for now. NOTE: We haven’t tested this yet, therefore proceed at your own risk only. The following instructions are posted as it is from the developer himself, if you are not an advanced user, you are strongly recommended to wait for the official tools from the iPhone Dev Team and / or Comex. Step 1. Download PwnageTool, PwnageTool bundle for Apple TV iOS 4.2.1 firmware and Tetheredboot utility for Mac. Move PwnageTool to OS X’s Applications folder, and everything else into a new folder named “tethered” on the desktop. Step 4. 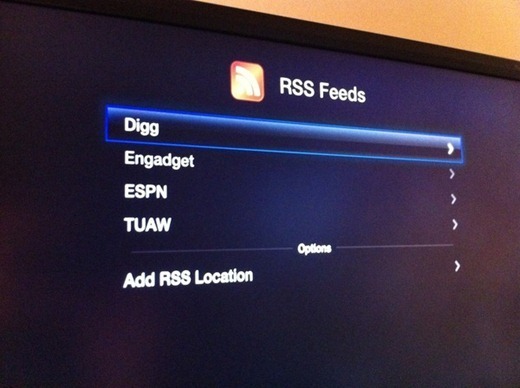 Start PwnageTool and select iOS 4.2.1 for Apple TV to create a custom firmware for your device. Save this custom .ipsw file in the same “tethered” folder on the desktop. NOTE: Do not install any packages through Cydia in Expert mode, this produced very unpredictable results. Step 6. Restore the Apple TV to the ~/Desktop/tethered/AppleTV2,1_4.2.1_8C154_Custom_Restore.ipsw firmware using iTunes. 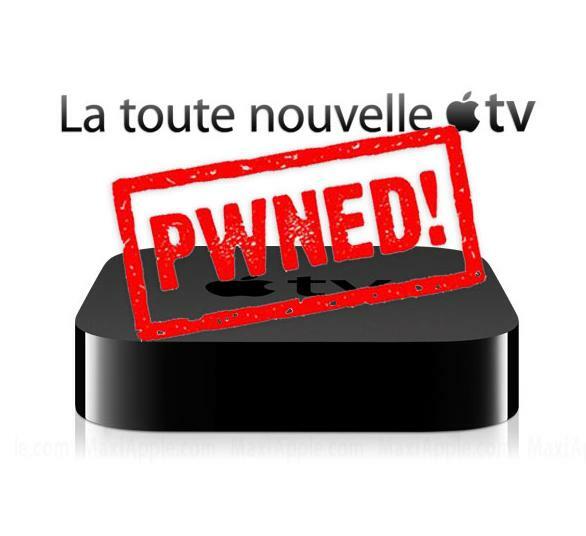 Note: Your Apple TV SHOULD be in DFU mode after finishing up with PwnageTool. Step 7. Unplug and then replug the USB, after the Apple TV has finished starting up (will be blinking steadily), plug in the power cable. NOTE: It will loop a complaint re: DFU mode, just ignore this, once you are finished getting in DFU mode tethered boot will take over. Connect your Apple TV with your Computer via microUSB. Step 10. If all went well, unplug USB and plug in HDMI and your Apple TV should be ready to go. 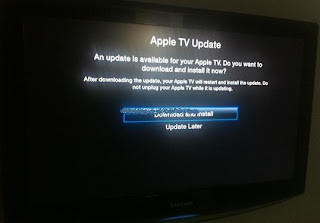 You will need to repeat Steps 7-9 every time you restart your Apple TV, this isn’t a convenient process by any stretch! 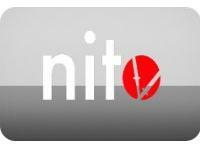 The first third party app for Apple TV 2G, NitoTV is now available for download. It currently offers Weather and RSS functionality but the developers have promised more features in the next version. 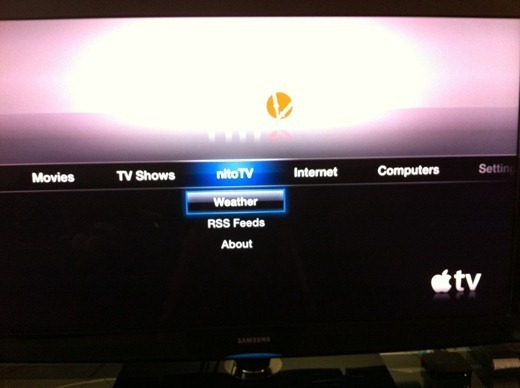 Follow the complete step by step guide to install NitoTV Weather and RSS app on your jailbroken Apple TV 2G. Step 1: First up, you will need to jailbreak your Apple TV 2G using the PwnageTool 4.1.x guide posted here. Step 2: Once you have jailbroken your Apple TV, connect it with your Mac and open Terminal app. Step 3: Now SSH into your device by using root@ip-address as your username, and alpine as password. Step 4: Now change this default password by entering “passwd” command, followed by your new password when prompted. Step 9: Now restart your Apple TV. That’s it! You should now have a new launcher menu for NitoTV, with Weather and RSS Feeds option as shown in the screenshot below. 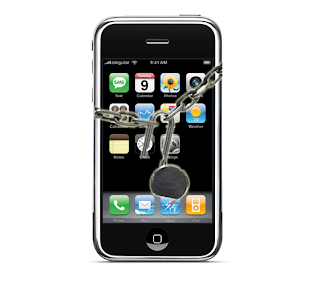 It was initially expected that the untethered iOS 4.2.1 jailbreak might be released somewhere around the Christmas Eve. But if this latest tweet by Comex is anything to go by, we may not see an untethered jailbreak for iOS 4.2.1 by this Christmas. It is to be noted however that the iPhone Dev-Team already has a backup plan ready, but that will require iOS 4.2b3 SHSH blobs for untethered jailbreak. Comex is said to have a more efficient userland-based untethered jailbreak method for iOS 4.2.1. This untethered solution will almost certainly be applicable to all current iOS 4.2.1 devices, including the new A4-based ones which includes iPhone 4, iPad, Apple TV 2G and iPod touch 4G. More info as it comes, stay tuned ! 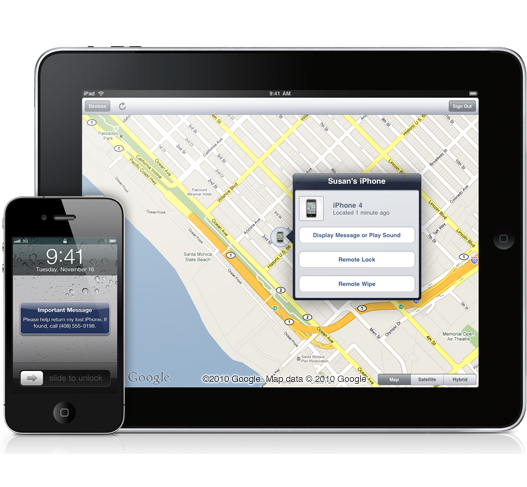 The SHAtter bootrom exploit which was saved at the last minute because of Geohot’s Limera1n for the next-gen iOS devices such as iPad 2 and iPhone 5 has been leaked. SHAtter exploit was found by pod2g in the hardware of A4 based devices (iPhone 4, iPad, Apple TV 2G, iPod touch 4G) and was originally scheduled for the now infamous 10.10.10 (10th October 2010) release before Geohot made a surprise return with Limera1n jailbreak for all iOS devices. P0sixninja of Chronic Dev team who worked on then SHAtter-based GreenPois0n tool accused MuscleNerd of iPhone Dev-Team publicly for leaking the exploit. MuscleNerd of course pleaded not guilty, and cleared his stance that why would he do it as he will need the jailbreak to work on unlock for the next iPhone. MuscleNerd also noted that there were like 15 to 20 others in the room when pod2g showed his SHAtter code for the first time. Now what this drama means is that Apple is going to patch both Limera1n and SHAtter in one go for all the next-gen devices, and in a hardware revision for the current iOS devices. p0sixninja: @MuscleNerd no, the version leaked had one small change I did right before it was given to YOU and YOU only!! MuscleNerd: @p0sixninja please stop trying to bring up drama again. You always do this when you’re otherwise empty-handed. MuscleNerd: @p0sixninja lol yes, that’s exactly why I would leak something that helps me more than anyone (unlock depends on jailbreak). Please think. ** HAPPY HOLIDAYS from EA! DOWNLOAD THE NEW UPDATE AND BE THE RACER! ** Feel the rush of the escape and race against the Cop with the all-new RACER CAREER MODE. You wanted it! You got it! We’ve literally DOUBLED the impact! Now you can drive as a Cop OR a Racer! Get TWICE THE GAMEPLAY and TWICE THE FUN plus MORE CUSTOMIZATION FEATURES – all for FREE. Update : Version 1.1 released ! Update #1 – To thank you all for making Infinity Blade so successful, we're giving you even more awesome new free stuff! - 5 new Swords, 5 new Shields, 5 new Helmets, and 1 new set of Armor - Collect and Master them all! - Because it's awesome, you can now listen to your own music while playing INFINITY BLADE! - PURCHASE GOLD! Due to popular demand, we have added the ability to buy extra Gold via in-app purchase! REQUIREMENTS: Compatible with iPhone 3GS, iPhone 4, iPod touch (3rd generation), iPod touch (4th generation), and iPad. Requires iOS 3.2 or later. From Epic Games’ award-winning studio, ChAIR Entertainment, comes Infinity Blade, a new title developed exclusively for iPhone, iPod Touch, and iPad. 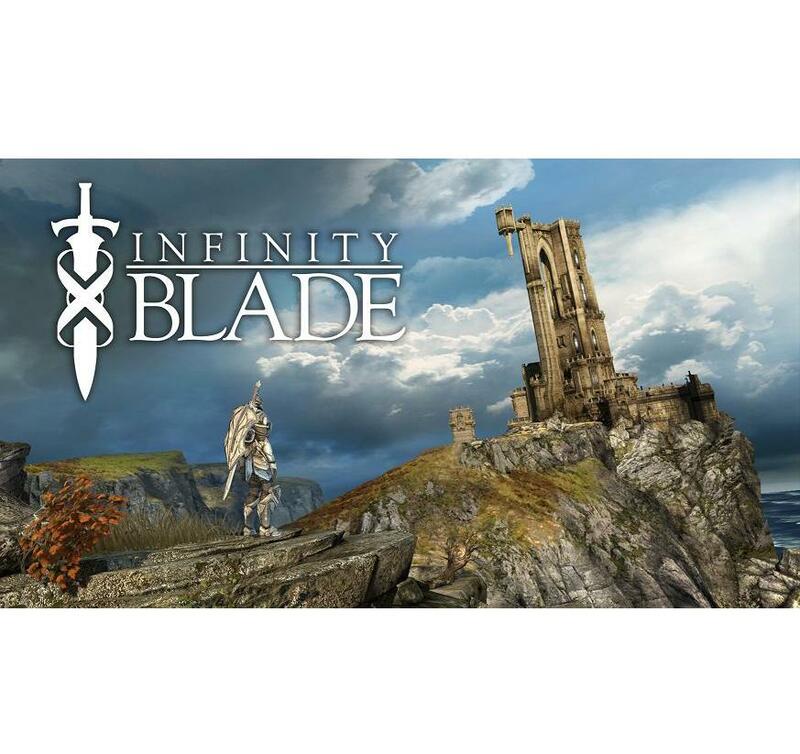 Universal App - Play Infinity Blade on iPhone 3GS, iPhone 4, iPad, iPod Touch 3, or iPod Touch 4 for a single low price. 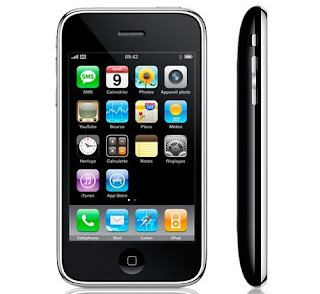 Optimized for iPhone 4 – Includes high-resolution graphics that fully utilize the Retina display on the iPhone 4. **IGN: "A surefire Game of the Year contender. It just may be the best iPhone game of all time." **TouchGen: "This is the best game I've played on my iPhone. This is the game we've been waiting for!" **Slide: "A unique and enthralling experience from the start." **Ars Technica: "It’s one of the few games on the iPhone that if I were to get an e-mail tomorrow saying that it’s available, I would stop everything I was doing, find my iPhone and buy it." New Areas to conquer! Multiplayer! New Swords, Shields, Helmets, Magic Rings, and Enemies! 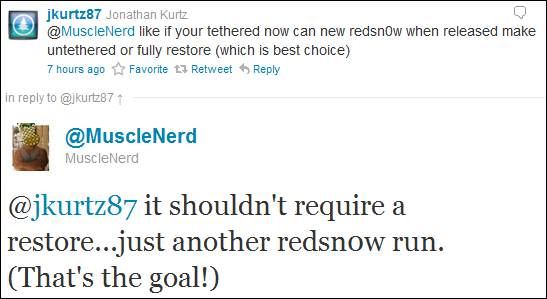 MuscleNerd of iPhone Dev-Team has confirmed today that the next version of Redsn0w will include an option which will allow you to untether your iPhone jailbreak on iOS 4.2.1 without having to restore your device. 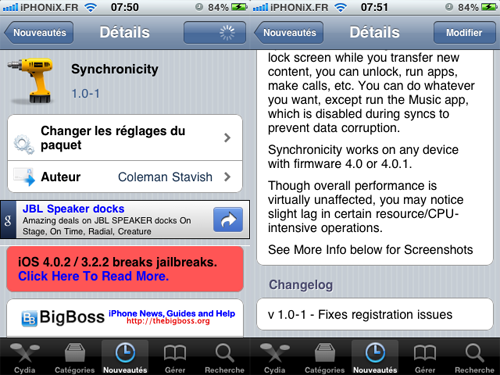 The advantage of this will be that you wont have to reinstall any of your iTunes’ or Cydia apps. All you ever have to do will be rerun Redsn0w jailbreak and it will be done! 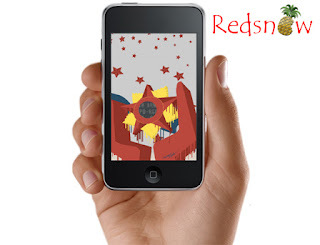 Expect this new version of Redsn0w for all iOS devices to be available somewhere around the Christmas eve, followed by iPhone 4 unlock on newer basebands in January. We will of course let you know as soon as it is available for download. Update : Version 2.7.12 released ! 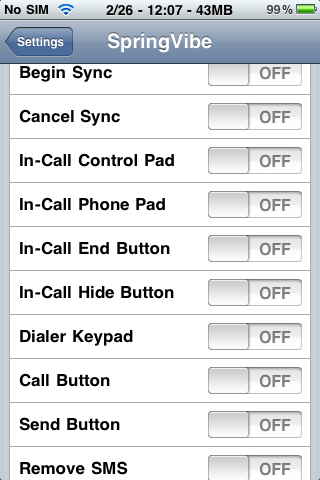 Caller ID Faker for iPhones is the number #1 app of its kind. 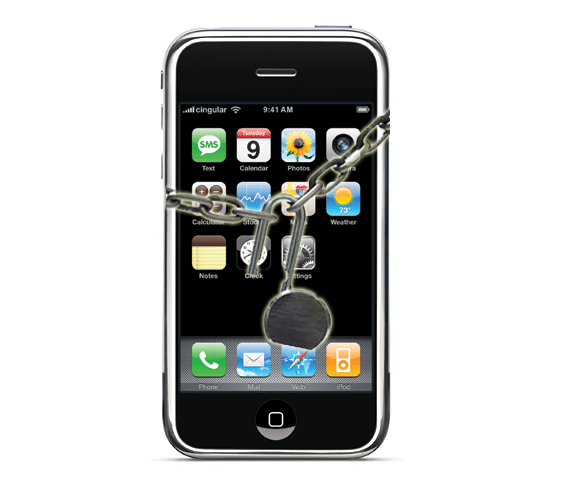 What separates Caller ID Faker from the rest is that it is completely Free. 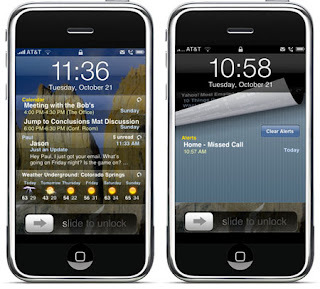 When you place a call, you will hear a 10-second advertisement then your call will be connected. Calls are also limited to 2 minutes, and after 2 minutes your call will disconnect. There is no limit as to how many Free 2 minute calls you can make. You can upgrade inside the application to a Premium Plan that has no advertisements, and can make calls longer than 2 minutes. When you place a call the app will close and your phone will dial a local access number. If there is not a local access number in your area code available it will choose a number that is closes to you. If you have a free long distance plan then you will incur no extra charges other than minutes used from your wireless plan. You will also need iPhone 2.2 (or higher) firmware before using. 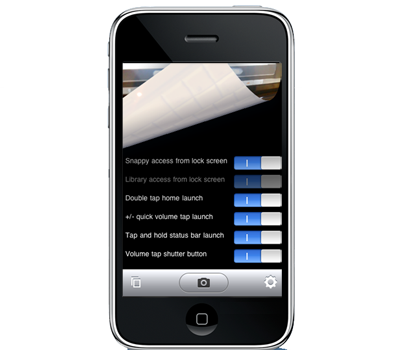 Snappy enables you to take photos while running any app on your iPhone screen without having to close it. 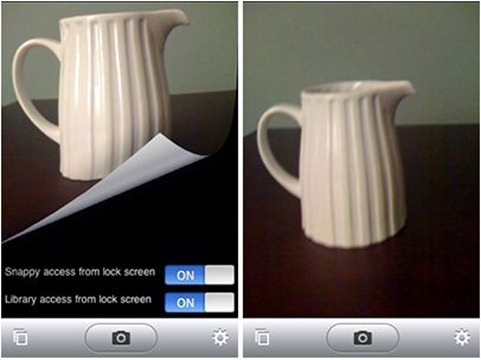 Moreover, you can take photos even if you screen is locked in a matter of a second or 2! All you have to do is to tap and hold the status bar to open the camera and you are ready to shoot a snap. 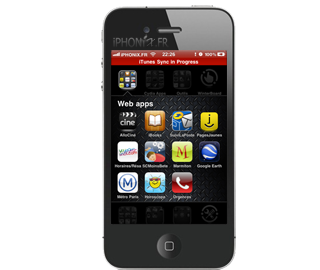 - Install LibActivator and OpenSSL package from cydia before installing the deb. Update : Version 3.3-3 released ! Crack is out !! SpringVibe is the biggest iPhone vibration bundle out there! SpringVibe has over 30 working vibration methods. This package is what all you users have been waiting for. SpringVibe makes items vibrate for better feed back from your iPhone, for better touching results, and for reassurance of your touch. 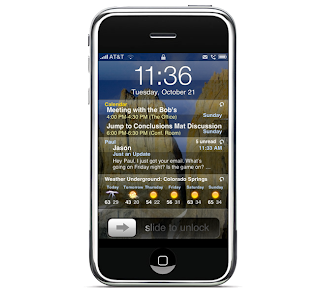 SpringVibe helps complete what the iPhone is becoming. 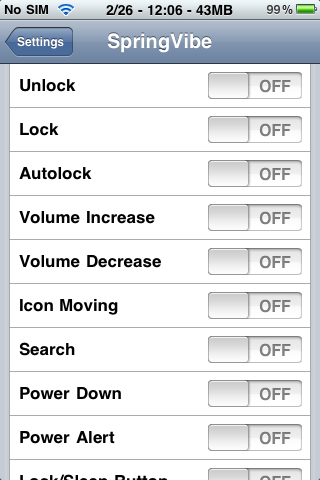 Make sure you have "Enable" switched on inside the Settings application for the vibration to work properly. Update : Version 4.8.3 released ! Crack is out !! - Messages behind IntelliScreen such as "No Sim Card"
Please Note: IntelliScreen now uses Cydia Store exclusively for purchases/license management. If you have previously purchased via Rock, please create a Cydia Store login to transfer your licenses.